As a 22-year-old, Charles Darwin sailed on HMS Beagle as a gentleman companion to Captain Robert Fitzroy and the expedition’s naturalist on that famous, five year circumnavigation of the globe that would play a seminal role in The Origin of Species. In 1832 the HMS Beagle entered the channel, just north of Cape Horn, that would later be named for the famous ship. The Beagle Channel is a dramatic waterway cutting through the southern most reaches of the vast Andes Mountain chain - Darwin has a mountain and Fitzroy a range named after them. Carved out of the earth by the retreat of glaciers during the last ice age, the Channel forms part of the boundary dividing the Fuegian Archipelago between Argentina and Chile. 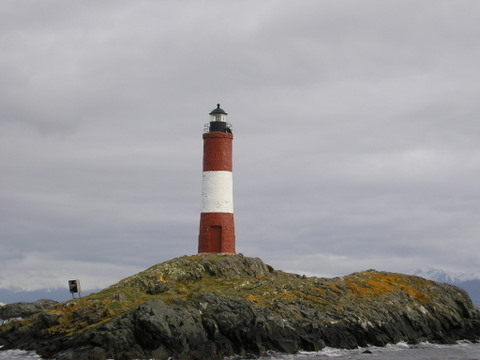 Its 75 mile length connects the Atlantic and the Pacific with Ushuaia at the half-way point. The Channel’s shore line and islands provided important environments for the Yamana culture - also known as the Yaghan - and today are nature preserves for the unique plant life of the archipelago and breeding grounds for seal, sea lions and waterfowl. 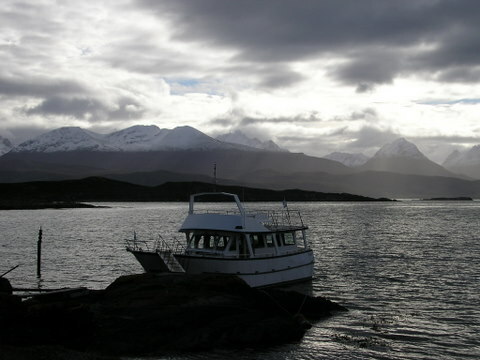 Numerous companies provide boat excursions, varying in length from 3 to 6 hours, exploring the islands and venturing into the bays of Parque Nacional Tierra del Fuego. 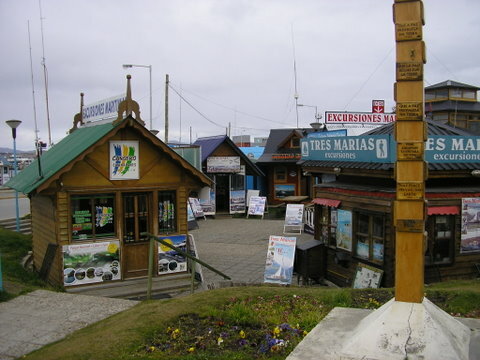 Most companies have ticket kiosks clustered near the Tourist Information building at the Port docks on Avenida Maipu. The excursions are on modern ships that accommodate anywhere from 18 to nearly 100 people. I prefer smaller groups, and it was recommended that I take the 4 hour, 18 passenger voyage offered by Patagonia Adventure Excursions - AR$150 (US$41.00). It was a good match. On this particular off-season, sunny day, the group consisted of eight people including myself. There were two American students on a junior-year abroad experience, a couple from Spain, another from Brazil and a Scots woman half way through her year-long solo trip around the world. An interesting and lively mix that was ably guided by multi-lingual Carla of the Patagonia Adventure staff. The sun had just risen above the mountains and was gleaming off the snow, sending rays of light onto the water. Having viewed Ushuaia from 4,000 feet up Cerro Martial the previous day, being in the Channel gave another perspective to the town. 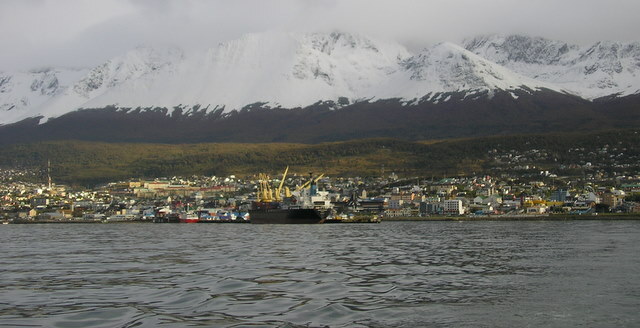 Ushuaia sprawls horizontally along a thin strip of coastal land then moves upward, hugging the foothills of the Martial Range. The tour began by landing at Isla Bridges, named after the Reverend Thomas Bridges, pioneering English missionary, protector of the Yamana and founder of the region’s oldest estancia, Harberton - still family owned. 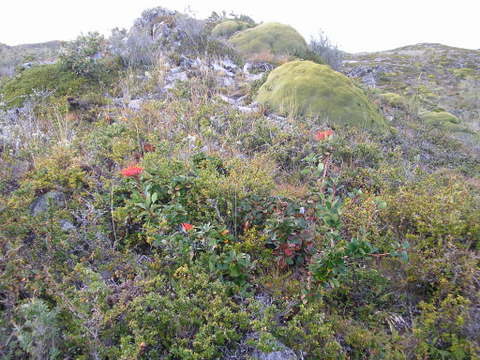 The protected island is a microcosm of low Fuegian plant life. 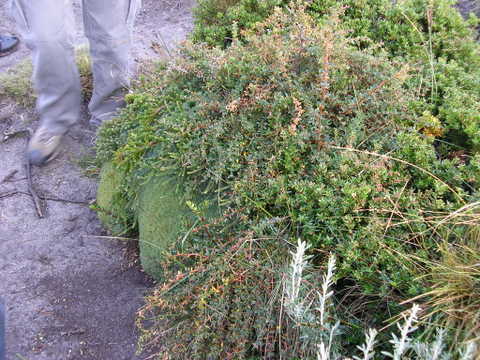 The Cushion plant is one of the most unique. 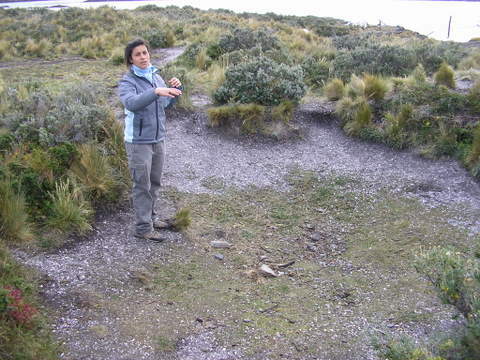 It is typically found in Alpine environments above the tree line, yet it thrives on the islands of the Beagle Channel. They are round balls of green and can be mistaken for lichen covered rock, especially when you touch one and feel its density. They stand about a foot tall, at full growth, and can be several feet in diameter. Cushion plants grow very slowly being measured at less than an inch per year. The plants can live for centuries and serve as host plants for a variety of other flora. The resulting form resembles a miniature garden that would be difficult for any human to make more beautiful. The island also contains archeological remains of Yamana communities. To protect themselves from the elements, the Yamana - who wore absolutely no clothing of any type for over 7,000 years until the Victorian English clothed “the savages” - grouped themselves in sunken, pod-like branch dwellings with dozens living in a space covering no more than 10 -12 feet in diameter and living on the abundant seals in the Channel. 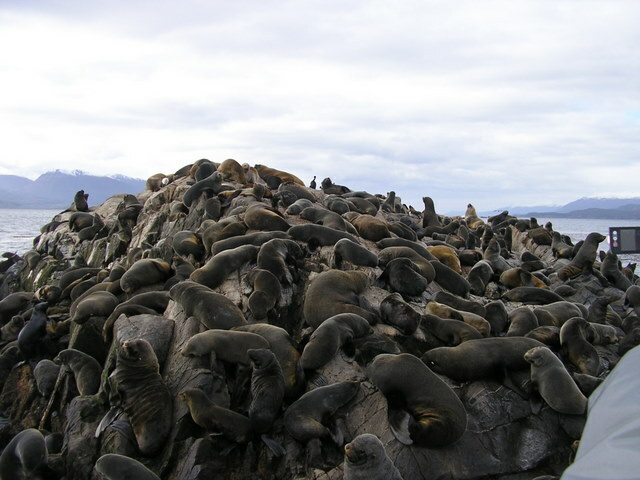 The tour continued to Isla de los Lobos (Sea Lions’ Island), a small outcrop of rock covered with hundreds of seals and sea lions. We observed them slipping in and out of the water for their fish catch and lazily sleeping on top of each other. 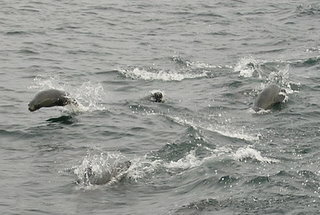 I was fascinated by the agility of the seals leaping in the water like dolphins as they swam. The animals are quite used to the tour boats allowing us to view them only yards from their habitat. 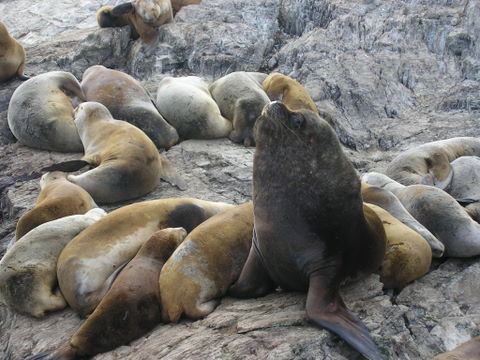 We were fortunate to view a huge male sea lion bull surrounded by his harem of dozens of females. Of course, the baby seals and sea lions were adorable. After rounding the century old red brick light house, which warns ships away from a dangerous mid-channel area of shallow rocks, the boat pulled up close to Isla de los Pajaros which is the home to a large number of Cormorants and other sea loving birds. Between stops Carla gave excellent talks on the history, geology, animal and plant life of the Channel. Tea, coffee, hot chocolate and cookies were provided, and just before returning to port, she poured a round of liquor to toast the experience, the Capitan, his mate and new acquaintances.